Imagine a drug that made your brain function with perfect efficiency, tapping into your deepest resources of creativity, intelligence and drive. A drug that can help you learn a foreign language in a day. A drug that can help you process information so fast you can see patterns in the stock market. 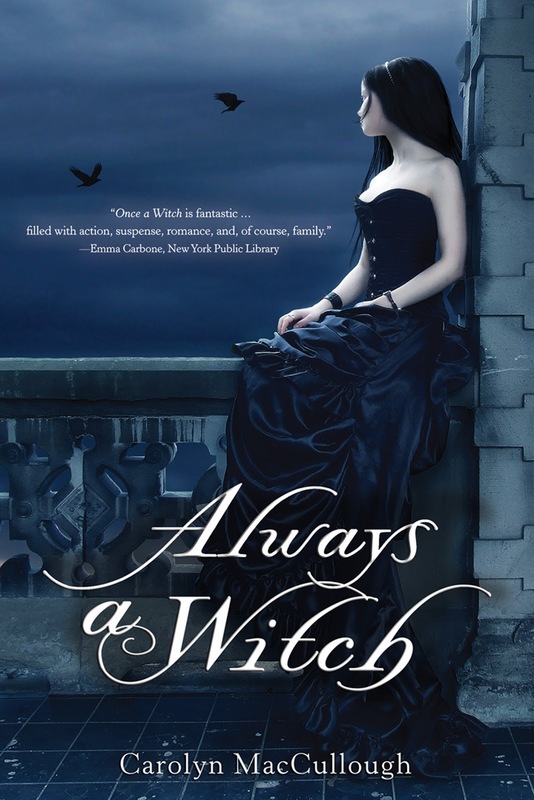 Since the gripping conclusion of Once a Witch, Tamsin Greene has been haunted by her grandmother’s prophecy that she will soon be forced to make a crucial decision…one so terrible that it could harm her family forever. When she discovers that her enemy, Alistair Knight, went back in time to Victorian-era New York in order to destroy her family, Tamsin is forced to follow him into the past. Stranded all alone in the 19th century, Tamsin soon finds herself disguised as a lady’s maid in the terrifying mansion of the evil Knight family, avoiding the watchful eye of the vicious matron, La Spider, and fending off the advances of Liam Knight. As time runs out, both families square off in a thrilling display of magic. And to her horror, Tamsin finally understands the nature of her fateful choice. 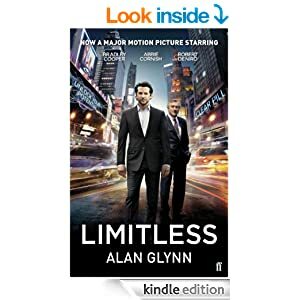 The shocking techno-thriller that cements Daniel Suarez’s status as the heir to Michael Crichton and Tom Clancy – a terrifying, breathtaking, and all-too-plausible vision of the world’s near future. Unmanned weaponized drones already exist: they’re widely used by America in our war efforts in the Middle East. 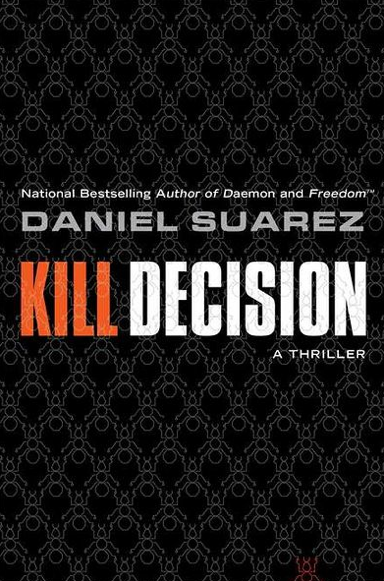 In Kill Decision, best-selling author Daniel Suarez takes that fact and the real science behind it one step further, with frightening results. In the opening chapters of Freedom(tm), the Daemon is well on its way toward firm control of the modern world, using an expanded network of real-world, dispossessed darknet operatives to tear apart civilization and rebuild it anew. Civil war breaks out in the American Midwest, with the mainstream media stoking public fear in the face of this ‘Corn Rebellion’. Former detective Pete Sebeck, now the Daemon’s most famous and most reluctant operative, must lead a small band of enlightened humans in a populist movement designed to protect the new world order. But the private armies of global business are preparing to crush the Daemon once and for all. In a world of conflicted loyalties, rapidly diminishing government control, and a new choice between free will and the continuing comforts of ignorance, the stakes could not be higher: hanging in the balance is nothing less than democracy’s last hope to survive the technology revolution. Two years ago, October âTobyâ Daye believed she could leave the world of Faerie behind. She was wrong. Now she finds herself in the service of Duke Sylvester Torquill, sharing an apartment with her Fetch, and maintaining an odd truce with Tybalt, the local King of Cats. Itâs a delicate balance – one thatâs shattered when she learns that an old friend is in dire trouble. Lily, Lady of the Tea Gardens, has been struck down by a mysterious, seemingly impossible illness, leaving her fiefdom undefended. Struggling to find a way to save Lily and her subjects, Toby must confront her own past as an enemy she thought was gone forever raises her head once more: Oleander de Merelands, one of the two people responsible for her fourteen-year exile. But if Oleanderâs back, whatâs her game? Where is she hiding? 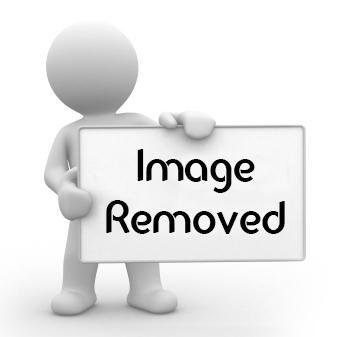 And what part does Tobyâs mother, Amandine, have to play? Time is growing short and the stakes are getting higher. For the Queen of the Mists has her own agenda, and there are more players in this game than Toby can guess. With everything on the line, she will have to take the ultimate risk to save herself and the people she loves most – because if she canât find the missing pieces of the puzzle in time, Toby will be forced to make the one choice she never thought sheâd have to face again. Read by Mary Robinette Kowal. Trainspotting is the novel that first launched Irvine Welsh’s spectacular career-an authentic, unrelenting, and strangely exhilarating episodic group portrait of blasted lives. It accomplished for its own time and place what Hubert Selby, Jr.’s Last Exit to Brooklyn did for his. Rents, Sick Boy, Mother Superior, Swanney, Spuds, and Seeker are as unforgettable a clutch of junkies, rude boys, and psychos as readers will ever encounter. Trainspotting was made into the 1996 cult film starring Ewan MacGregor and directed by Danny Boyle.